Many of you might be making some new year’s resolutions such as diet changes, workout routines, and quitting bad habits. But outside of your personal goals, you also need to keep an eye on your business operations. More specifically, you must focus on your marketing department. Marketing continues to change over time. Each year we’re seeing new trends. What worked for your company in 2018 may not work in 2019. Don’t get me wrong. I’m not saying you need to completely abandon or change your strategy that worked in 2018. But you need to at least recognize the newest trends. 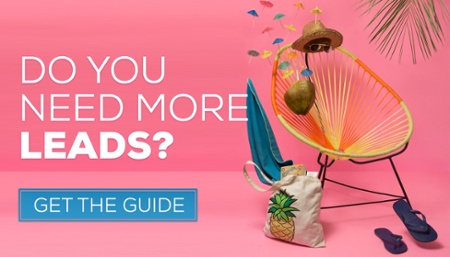 Cause the thing is, other marketers are already jumping on board with new trends and technology, and, to gain an advantage over your competitors, you want to prepare yourself to adapt to these trends before they have the chance. We’ve narrowed down the top three marketing trends you need to be on the look out for in 2019. It’s been a big year for Video Content! 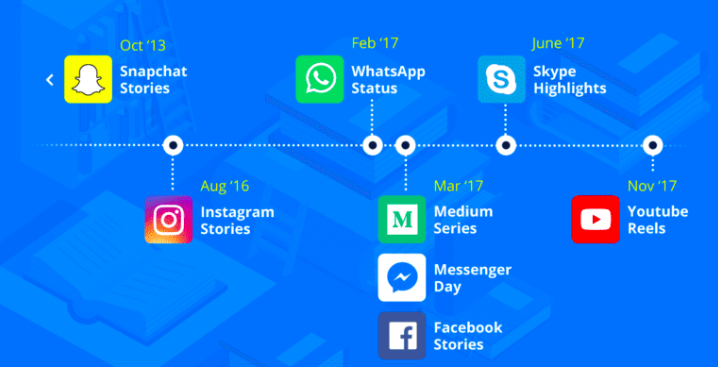 With Facebook Live, IGTV, LinkedIn Stories and now Youtube Stories! We can definitely see a pattern forming here. But you must be wondering, what is the ROI of video? Video marketers achieve a 54% increase in brand awareness! 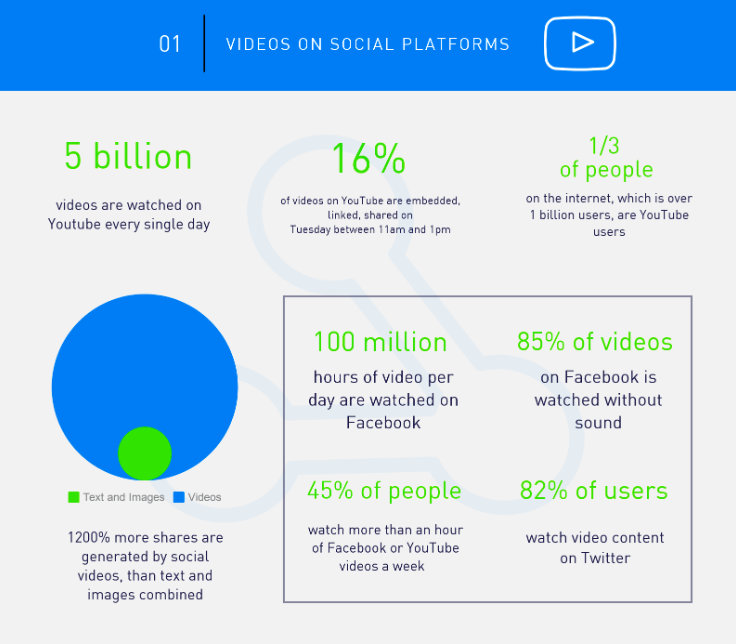 You don’t need a marketer to tell you the importance of video, but here are some stats for you anyway. Live videos have been equally huge this year. Having always been popular on YouTube, the trend has now taken over Facebook and Instagram, to the point when we get notified when someone is going live! Secondly, live videos perform better than uploaded ones because they have an authentic feel to them. Live videos increase the perceived trustworthiness of a brand. So, what kind of videos should you be making in 2019? Read it here. Social media influencers have become a major trend in the past couple of months! We have Instagram celebrities, Twitter Influencers, Youtube Stars. These influencers have millions of followers — their every post, or vlog, or tweet is instantly seen by more people than TV ad makers could ever hope for. Examples of Mega Influencers could be MUA Huda Kattan with 30.5 Million followers. However due to their immense popularity, the prices for their services have skyrocketed as well. That lead to businesses finding other alternatives — Micro-influencer marketing! As opposed to the "traditional" influencers, micro-influencers exist in every marketing niche. They typically have followings of fewer than 10,000 people, but most of their followers are genuinely interested in what they have to say- and they're very engaged. The main difference is actually micro-influencers are often considered experts in their niche. The reason why micro-influencers do better than mega-influencers is because their influence is due to their authentic connection with their audiences, developed by being a leader or expert in a particular field, and directly engaging with their communities. And lastly we have Nano-Influencers! These smaller names are not massively targeted by advertisers, so they are trustworthy and down-to-earth. The marketing potential is very high and marketers are about to recognize this in 2019. Nano-influencers serve niche markets. These are the markets that lack thought-leaders, so every word they say has weight and value for their audience. They have a small number of fans, but most of these people are “super fans”. They are like loyal customers and don’t easily leave their ideals. Nano-influencers are not “busy” people with packed schedules. They have time to communicate with their audience and respond to their queries. The small size of the audience serves as a benefit for nano-influencers as every message they convey to their audience penetrates and reaches virtually everyone. Nano-influencers are also the new attraction for brands because they are easy to access and much more affordable than their macro counterparts. But what if their online experience was different? What if it was completely tailored to their interests, and their friends? Feeling connected makes the difference. It creates a sense of community yet individuality all at the same time. Personalization in marketing works. According to research from Salesforce, 65% of B2B buyers say they’d switch brands if a company didn’t personalize their communications. But what does personalization mean? Personalized marketing is the implementation of a strategy by which companies deliver individualized content to recipients through data collection, analysis, and the use of automation technology. The goal of personalized marketing is to truly engage customers or prospective customers by communicating with each as an individual. 82% of marketers reported an increase in open rates through email personalization, while 75% believe it yields higher click through rates. Even more (75%) buyers said that by the year 2020, they expect companies to anticipate their needs and serve relevant suggestions. Consumers demand more personalization throughout the buying journey now more than ever. If your personalized marketing strategy isn’t properly tailored to each and every individual, they won’t feel engaged and therefore are less likely to purchase from you. Having a successful personalized marketing strategy in place can be the greatest asset your business has to offer. 2019 is going to be a big year for marketers! 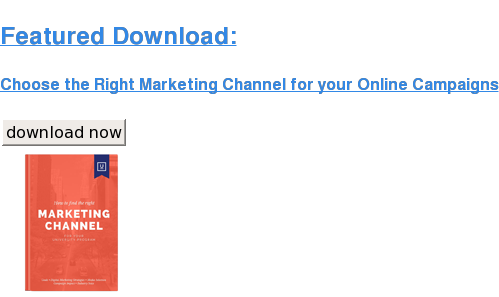 If you’re not sure what to expect in 2019 from a marketing perspective, you can use this guide as a reference. What marketing trends is your brand planning to follow in 2019?